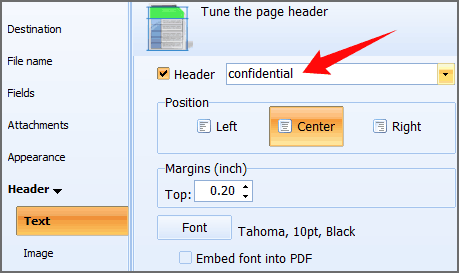 Confidential stamp can be placedt either to the header or footer of the document or both. Users are free to select the font, color and size of the stamp. You can also put your own custom stamp just typing any text you need. Confidential stamp can be put together with page numbering, company name and contacts or any other info. Stamp can be put to the left or right side, as well as to the center. Font styling can be embedded to PDF. There are a lot of other settings you can use to format PDF copies properly. For example, you can merge all your MSG sources into one PDF file. 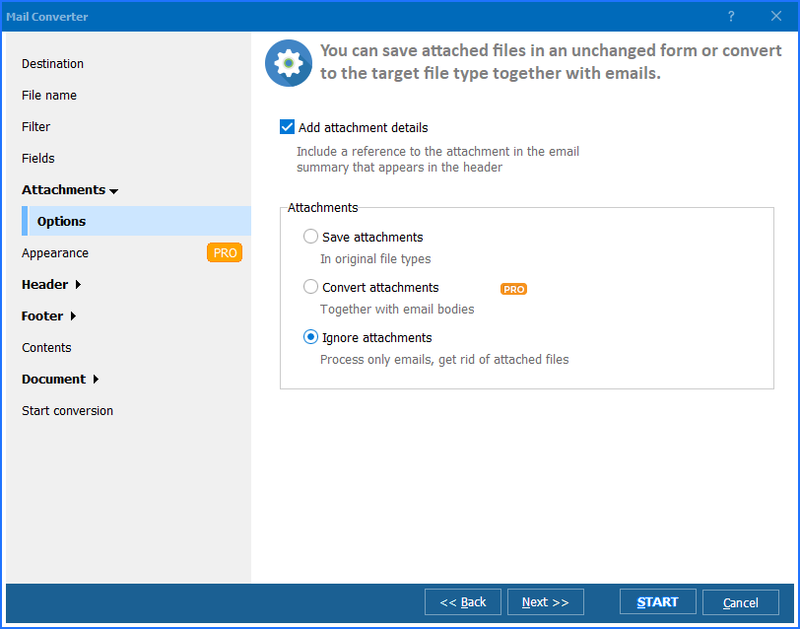 It allows storing entire email history in one document. 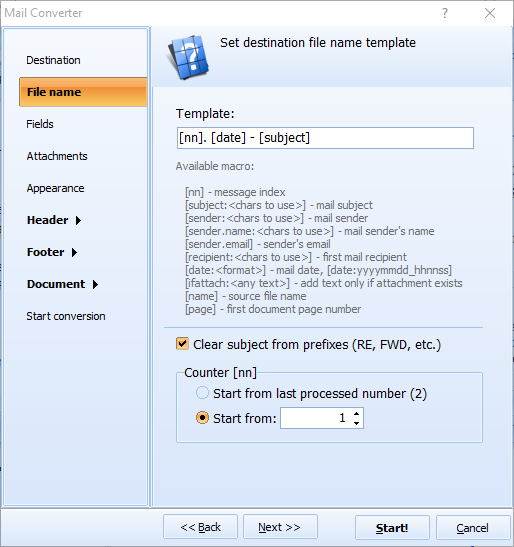 You can convert some specific mail fields to extract only the info you need from MSG sources. 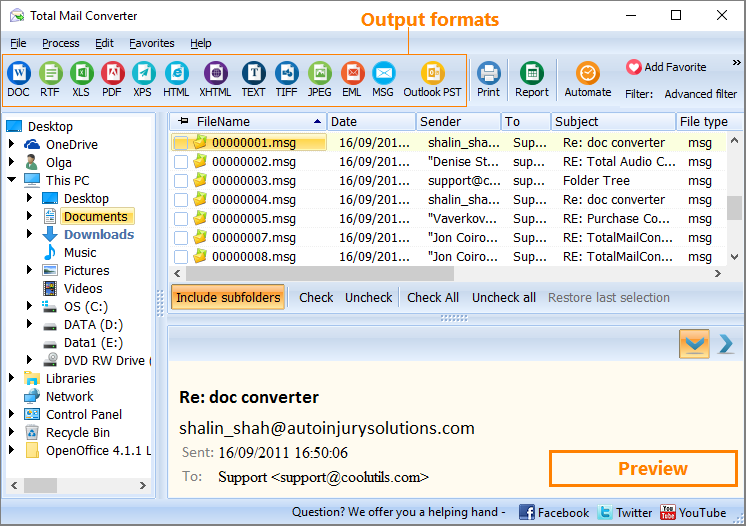 Total Mail Converter can also embed attached images to the output PDF. As for security settings, the app offers password-protection and signing with a digital signature. 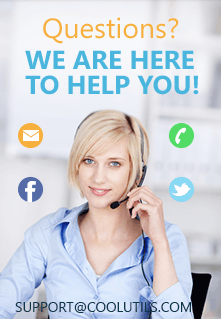 Try it for free and make your mail copies confidential with ease! Total Mail Converter runs fine on Windows XP/2003/Vista/7/8/10 (both GUI and command line).